One of the most important features of the Giri Pradakshina is the Ashta lingadharshan. These lingams are placed symmetrically at each one of the eight geographical directions based from the mountain of Arunachala – East, South-east, South, South-west, West, North-west, North, North-east. Ashta means eight in Sanskrit. In Hinduism, the directions play a vital role and each direction is governed by its own cardinal deity who is propitiated in a fitting way when that particular direction is undertaken for any purpose. For example if you have to make an east-bound journey then you would worship Indra who is the god governing the eastern direction and pray that he blesses your journey and keeps you safe from danger etc. 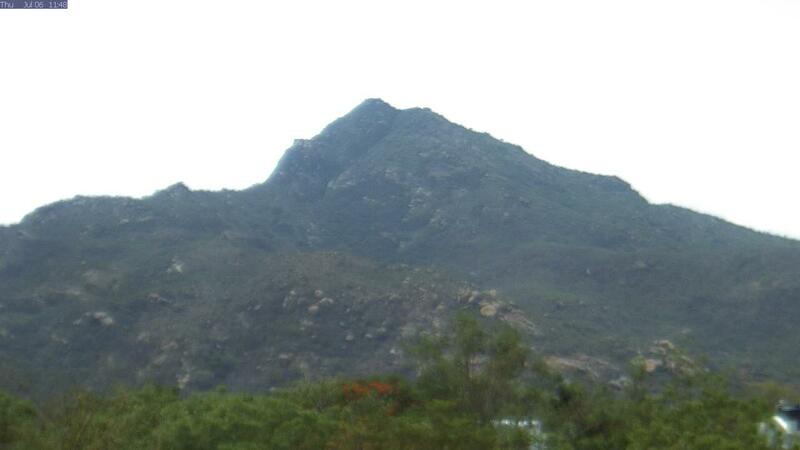 In Arunachala the Ashta Dik Palakas (the gods of the eight directions) have a special role since (1) while performing the circumambulation one has to cover all the eight directions and (2) the deities themselves having a special connection with Shiva Arunachala have manifested at the appropriate centre and worshipped Shiva in form of lingam which is why we have the Ashtalingams consecrated respectively at each one of these spots. Lord Indra is the king of Heaven according to hindu mythology. His consort is Indrani. His vehicle is the celebrated four tusked white elephant Iravathi. Indra manifests seated on his elephant wielding in his hand the weapon Vajra with which he destroys ignorance and bestows the light of knowledge on his deserving devotees. He offers the sweet nectar of spiritual knowledge to those who are fitting and ripe. Indra lingam is situated on Car street in the town of Tiruvannamalai close to the eastern tower of the Big temple and not far from the vegetable market. Lord Agni, the god of Fire has 7 hands and 7 tongues. He is the God of the fire of knowledge, the keeper of knowledge and the ambassador of both man and god, he who submits the petitions of humans to the concerned god. Agni is the light of the lives of all creatures. His vehicle is the compassionate goat Saga who has long legs and a warm body which is also known as Ajam and serves as the sacrificial beast in the auspicious fires of Homa (ritual vedic fire ceremony). It is of the greatest importance to worship and invoke Agni in the performance of Homa. The reason being that Agni is none other than the chain which connects the two realms, the realm of humans with the realm of Gods. In all hindu temples it is a renowned tradition to invoke Agni and perform Homa. The offering which is made in these homas to Agni is called Aahuthi and is believed to reach the gods themselves. Agni lingam is situated on Seshadri street close to Seshadri ashram on Chengam road. The lord of the southern direction is none other than Yama the god of death. He is portrayed with 2 monstrous dogs and sitting on his mount, a powerful black buffalo named Mahishan. He is supposed to carry a huge lasso with which he drags each being at the time of death to face heaven or hell according to the being’s karma. Even though he is a merciless judge, he is famed for his integrity and equity. When humans, believing in maya get carried away by sensual pleasures, he serves as a check to them by reminding them of the endless cycle of birth and death in which they are getting enmeshed. There are two famous legends in hindu mythology when Yama actually gave up his death victim whom he was carrying away to its death according to its fate. One is about the young teenage boy Markandeya who was an ardent devotee of Shiva. At the time of his death which occurred at the very young age of 16, Shiva and Parvathi show up in person and literally save him from the jaws of death by yanking him out of Yama’s grasp! Shiva in this role earns the title of KalaSamharaMurti which means destroyer of death. The other is about Satyavan, husband of the beautiful princess Savitri. They were a newly wed couple frolicking in the forest when Satyavan is suddenly assailed by death. Undaunted Savitri follows Yama as he walks away with the life of her husband almost upto the ends of the earth. Yama is willy-nilly pleased at her perseverance and grants her a boon in which she may ask for anything except for the life of her husband. Savithri cleverly asks to give birth to a son. Now how could a wife conceive a child without her husband? And so Yama is outwitted and being a god of honour, he is obliged to keep his word and give her back the life of her husband. Savithri is still extolled as the paragon of wifely devotion and virtue and till today Brahmin married ladies in Tamil Nadu celebrate her feast in the month of March. Yama lingam is situated most appropriately beside the cremation grounds on Chengam road. Nirudhi is the king of the Asuras or the demons and he jointly rules the southern realm along with his friend, Yama. He too has a dog beside him. He is known to be the governor of the emotions and sentiments which create worldly desires in humans and enchain them to the cycle of birth and death. Nevertheless by worshipping Nirudhi lingam in Arunachala, it is believed that he will counter-produce these emotions and actually help one in getting renouncement or detachment which is the way to liberation. Nirudhi lingam is situated on the giri valam path right after Sonagiri and Shanthi malai compounds. The lord of the western direction is Varuna, the king of appreciation and enjoyment. He governs the whole world. How? Because he is the god of rain, god of all the waters, rivers, lakes and oceans in all the three worlds. Varuna’s vehicle is the crocodile Makara on whose back he rides furiously at a breath-taking pace. Makara lives both on land and water. He surveys the deeds of man according to his karma and keeps them under his control. Legend has it that the eye of Varuna is Surya and when Surya appears in the constellation of Makara, it is a special event and honoured as Makara Sankarathi. This days falls each year in mid January and is celebrated as the pongal festival in tamil culture. Varuna lingam is situated on the giri valam path 1 km before the village of Adi Annamalai. Vayu the lord of the open spaces is the god of wind. Vayu travels through space at great speed mounted on his swift deer waving his four hands about. He is the god of wind and provides creatures with vital life-giving breath thus sustaining the entire universe. In the shrine of Vayu lingam one is always greeted by a rush of wind as if to prove that Shri Vayu is present there and making his respects to Arunachala. Vayu lingam is situated by the village of Gosalai on the giri valam path. Kubera is the god of wealth and prosperity and so he is greatly sought by all. He is also the chief of the yakshas who safeguard the riches of the devas. He is a very friendly with Shiva. He has 3 legs and 8 teeth. His vehicle is a plump female goat. His abode is in the capital of the Himalayas. His consort is Yakshi. Legend has it that Lord Kubera himself is beholden to Arunachala for the continued strength of his wealth and thus he worships Him from his ordained direction. Kubera lingam is situated on the end of the giri valam path before reaching town. Isanyar is one of the 7 seven Rudras of Shiva. He is covered with ashes and surrounded by ghosts, he has matted locks and fierce eyes and is seated on a tiger skin. He holds the crescent moon and the river Ganga in his locks. His body is adorned by coiled serpents. In his hands he holds the mortal drum and the trident of Shiva. Isanya lingam is situated on the road to town beside the old cremation grounds by the new bus stand. Click here for detailed viewing information. Developed by : Npedia Technologies Pvt Ltd.